If you work in the humanities with digital technologies or are considering digital approaches to humanities research, please join us for the Digital Practices in the Humanities Workshop (DPHW) in Oxford, on Thursday 21st June 2018 from 10am-5pm, at the Oxford e-Research Centre. The workshop is free, though registration is required. How do humanities researchers find out about, make, commission or use software tools? To what extent is software considered a research output? How does making software influence other outputs? How are software and other digital outputs designed, funded, supported and sustained in the humanities? What kinds of training do digital humanists require? What career pathways exist for digital practitioners and research software engineers in the humanities? How far do digital practices in the arts and humanities intersect with their use outside academia, such as in the creative industries and the media? How does the digital humanities relate to humanities work as critical practice? How do digital humanists engage with colleagues in other disciplines, inside and outside the humanities, and other audiences? Are DH outputs open, accessible and accountable, and do they apportion fair credit? 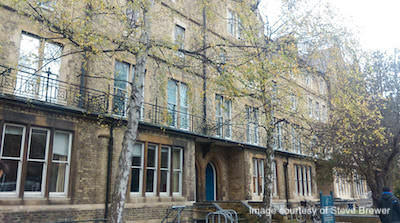 The DPHW workshop is co-hosted by the Oxford e-Research Centre and the Centre for Digital Scholarship. For more information, contact Giles Bergel.